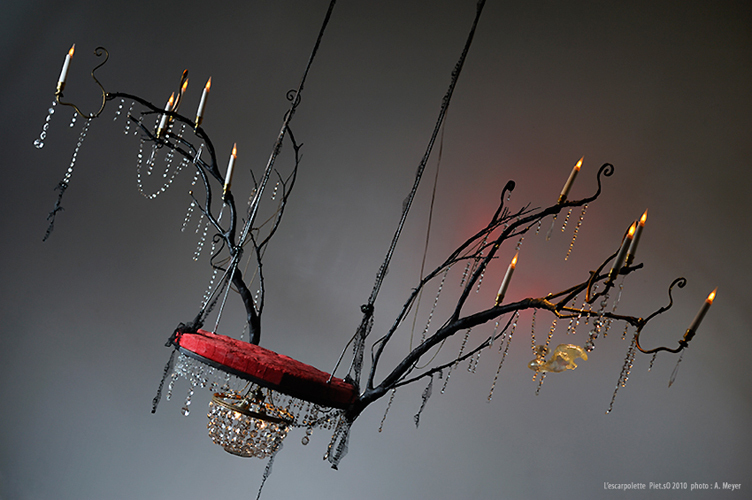 interactive swing chandelier. The intensity of the lights and the sound changes with the swinging motion. Inspired by the painting of Jean-Honoré Fragonard Les hasards heureux de l'escarpolette, 1767.